With simple yet refined styling, this plastic knob will add elegance to any contemporary design. The Amerock BP55273BBR Blackrock 1-1/2in(38mm) LGTH Knob is finished in Black Bronze. The BlackRock collection offers sleek simplicity with a contemporary indulgence. This eclectic line boasts bold shapes and sizes. Black Bronze is a warm and slightly textured dark finish which nods to the softer side of Black without losing the richness of the Bronze feel. Braided rope details on the knob face and base will add a touch of classic elegance to your kitchen or bathroom. A luxurious detail with a sparkle, this eye-catching crystal knob will make a statement in any room. Fashionable and chic! Eclectic round knob in brilliant ceramic. The flower bouquet motif on the knob face makes this product an outstanding choice for your home dicor. 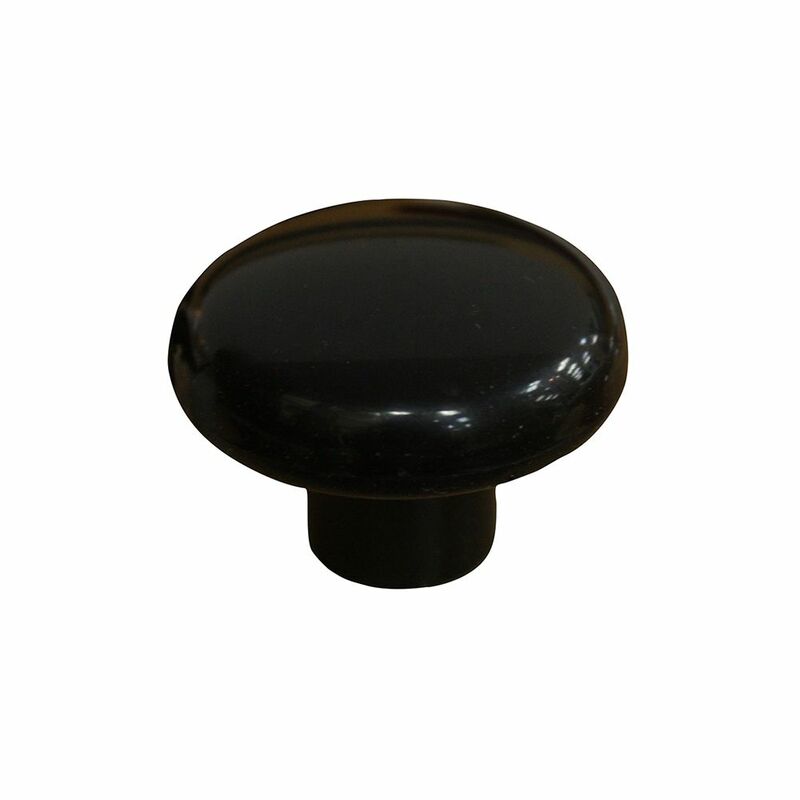 Functional Plastic Knob 1 1/2 in (38 mm) Dia - Black - Villeray Collection With simple yet refined styling, this plastic knob will add elegance to any contemporary design.